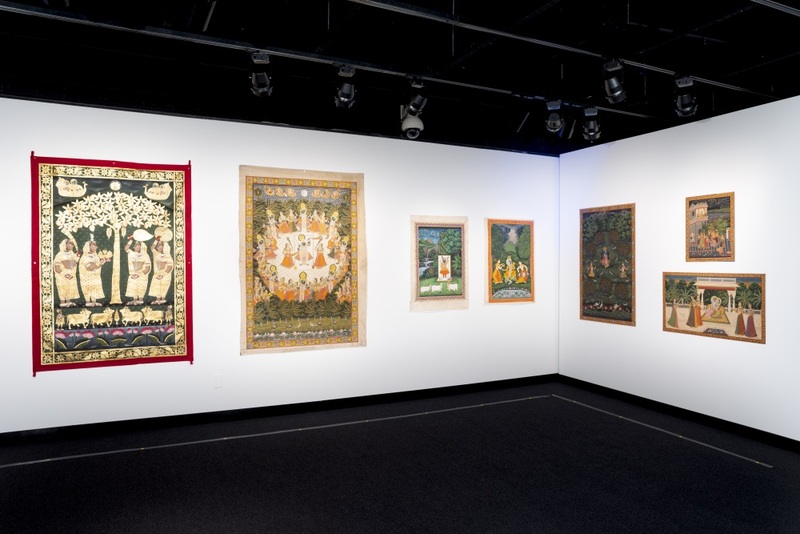 This special exhibition introduces our audiences to the historic Indian practice of pichvais, devotional paintings on cotton cloth made as temple hangings in Nathdwara, Rajasthan. 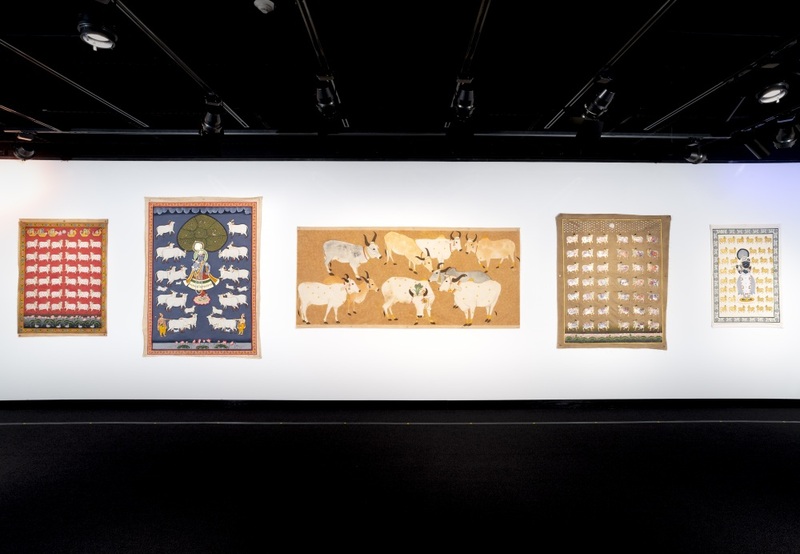 The exhibition presents work from one contemporary family of Nathdwara pichvais painters who represent the fifth, sixth and seventh generations of pichvais painters in their lineage. 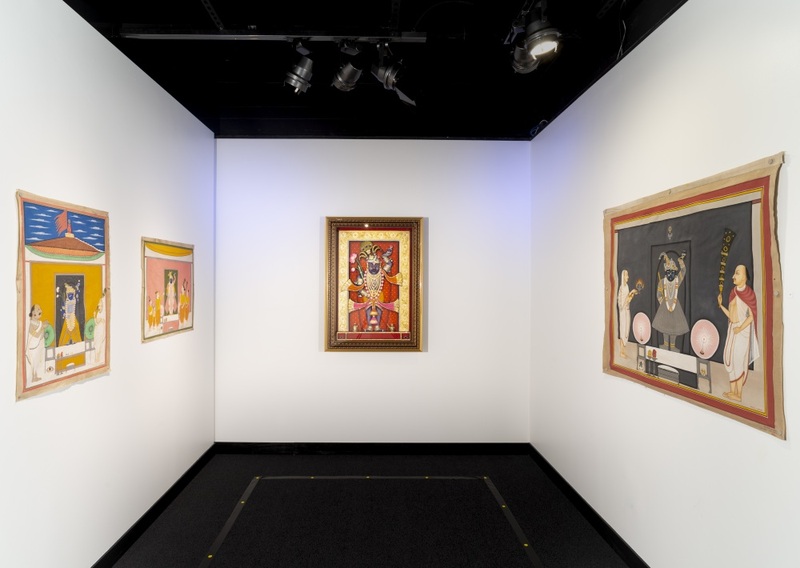 The exhibition will document their continuing creation of these visual narratives, long associated with Nathdwara's Shrinathji temple. 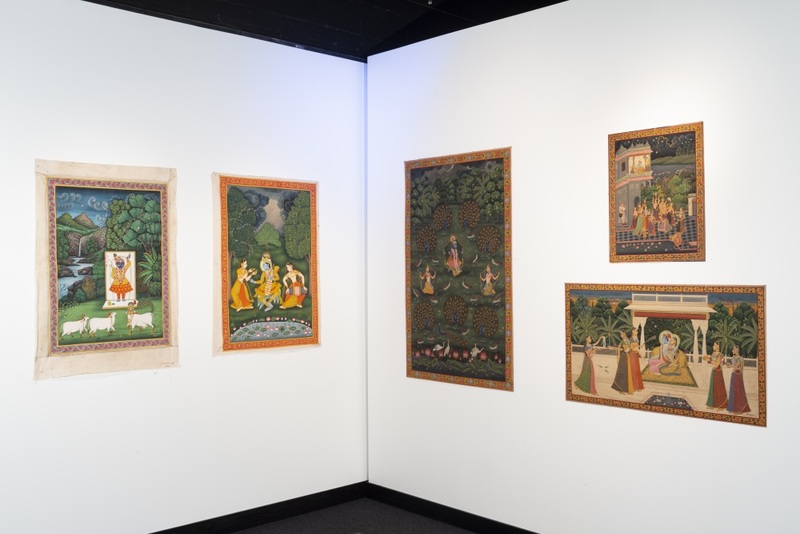 A special exhibition lecture on Thursday, September 13, 2018 at 5:00 p.m. titled "The Artists of Nathdwara: Traditions and Contexts" with guest speaker Dr. Madhuvanti Ghose, Alsdorf Associate Curator of Indian, Southeast Asian, Himalayan and Islamic Art at the Art Institute of Chicago. The talk is free and open to all, and will take place in Room 11 of the Home Economics Building on UNL's East Campus. 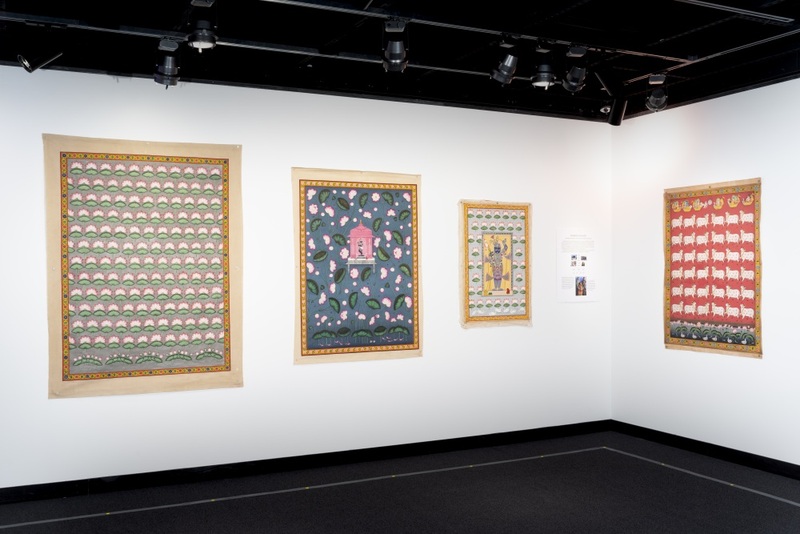 A reception will follow in the Hillestad Textiles Gallery. Installation views: Photo credit Larry Gawel. 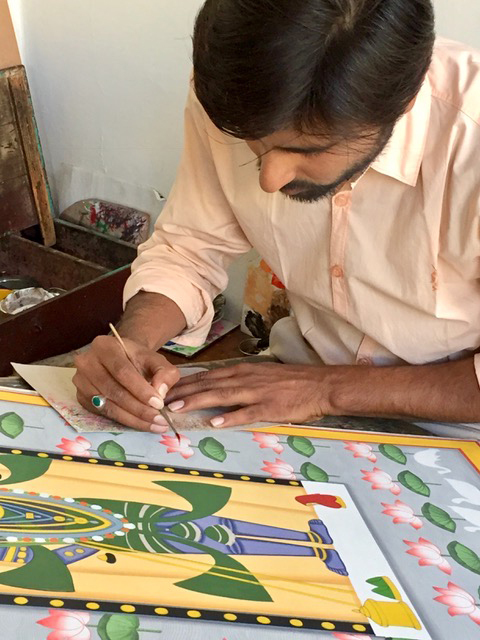 Jatin Sharma at work, Nathdwara, December 2016. Installation view. Photo credit: Larry Gawel.